The following is from the NCFIC blog by Mr. Brown. He is responding to counter-claims that the bible does not have cars or films just like there is no age-segregation. My hope is that my questions will help bring differing parties together. 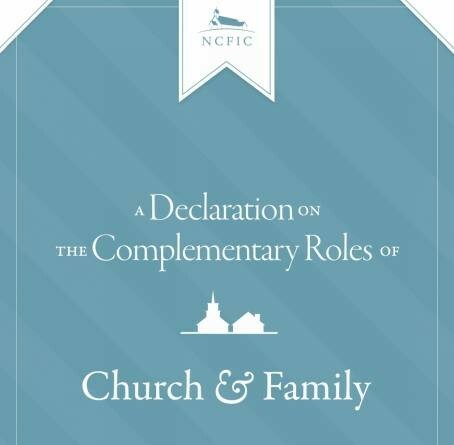 Or at the least clarify any real differences between the NCFIC and traditional Reformed thinking. First, the reader should note the careful (yet unclear) language “modern form of systematic, age-segregated youth ministry”. What does this mean? In the movie, the reviewer is left with the worst possible illustration of such ministries. However, it is not youth ministry per se that is rejected but “systematic age-segregation”. The NCFIC confession article uses the words “comprehensive age segregated discipleship.” But it never offers a definition of these phrases. Can a youth ministry have non-systematic age-segregation? This important question will help clarify exactly what Mr. Brown means. Secondly, an argument from silence is used but it is a secondary argument. As such it is still invalid unless clarified by another premise. Such a premise has not been offered or proven (for example, “that which is not in the Bible is therefore suspect”). 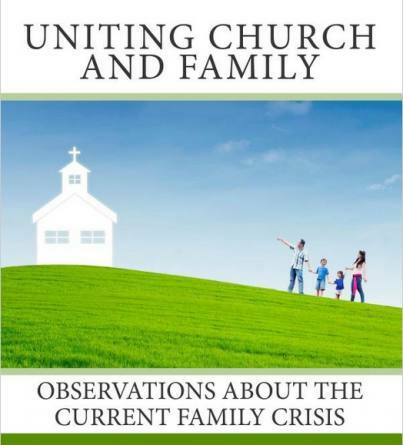 Third, it is claimed “all the positive commands and examples in Scripture call for the practice of age-integrated worship and discipleship in the church and the responsibility of parents to disciple their own children.” This is not precisely true since no command states: “children should only be family integrated for instruction,” neither in so many words or by syllogistic reasoning. Not one. But apparently the bible states that “children should more often than not be age-integrated for instruction” according to Mr. Brown’s exceptions (see below). Consider another important point: the commands and examples offered are not specific enough to determine exactly how the meetings of instruction were arranged. Did the wives sit with the husbands? Did nursemaids watch over the infants? Did families even sit with each other? The texts do not say, except Nehemiah 8 which is (special) pleaded away into an insignificant “exception”. Yet history tells us that during the time of Christ families were separated in the temple worship. Where is the New Testament outrage for this practice? Let me take this in reverse: “generic fallacy”–I do not know what that is. I googled it. Perhaps he means the “genetic fallacy.” This is a logical fallacy of denouncing (or proving) something based upon its origins. Thus a Christian who would reject Aristotelian logic because it was formalized and expanded by an unbeliever is committing the genetic fallacy. Even granting this is the fallacy he desired to use I am not sure how it relates to the issue at hand. On the other hand, when the movie points to Plato and Rousseau as the source of modern age-segregated youth ministries that is a genetic fallacy. I am not sure what this means. For instance, what is what? Is this the subject matter of the teaching? The method? It is noteworthy that how is missing in this list. But age-segregation is a how of instruction. If the bible gives the what of teaching where is the verse that says: “learn to read, write and type”? Where are the examples? If we are counting examples and lining them up as Mr. Brown appears to do in his book, then in the bible the majority (“primary”) of examples are oral examples: people speaking and memorizing. The “exception” is non-verbal. If these are not the “full range” covered in his assertion then what is covered? This assertion only creates more questions. Not a single bible passage or theological syllogism is offered to prove this point. It is completely arbitrary to assert that “methods and means of discipleship” are substantially different than “microphones and computer.” For if the sufficiency of Scripture gives the “full range of that teaching including who, where, why, what, and when” then one would expect technology (a what and how of discipleship) to be sufficiently and explicitly guided by the Bible. So, since discipleship is part of the law of God. And the “methods and means of discipleship” are matters of the Law. Therefore, these “practical tools” which Mr. Brown admits are “means to carry out the Law of God” must fall into the same category. Unless equivocation of terms is occurring. Again, upon what biblical principle does he differentiate discipleship methods that are significant from discipleship methods that are not significant (my language)? I believe that using computers for discipleship purposes is significant because instructional time can be hampered if one is using the computer more than a human in some cases. Generally, it is not the tool itself that is a problem but the usage of the tool. More importantly, the entire paragraph is built upon an unproven premise (as is the entire book): the regulative principle of discipleship. In my own words for clarification: all methods and means of discipleship invented by the brain of man without His own express commandment is wrong. Now, I have never seen it written out that way. What we have instead are the elements of this premise found in Mr. Brown’s posting and book. See especially the “desert isle test.” He requires that “all the positive commands and examples” must limit the range of discipleship methods to just those things explicit in the commands and examples of the bible–just like the regulative principle of worship (RPW). The Scottish reformer, John Knox, explained the regulative principle of worship as, “All worshipping, honoring, or service invented by the brain of man in the religion of God, without His own express commandment, is idolatry.” All Reformed creeds follow this principle for worship. Otherwise the Reformers exercised Christian liberty even in the domain of education and discipleship (read the history here). Now to sum up, why is “systematic age-segregation” rejected? Because all the commands and examples of the bible are age-integrated. But why does a Christian need to find explicit commands and examples of discipleship before using a method of discipleship? I do not know what their answer is. Somehow discipleship (however defined) has a separate moral interpretive tool than other moral fields of everyday life. But the matter does not end there. Mr. Brown allows for age-segregation! “There are times when it may be appropriate for various ages of people to meet for specific purposes” (A Weed in the Church, p.231, cp.61). Then what is the whole debate about? Why is this exception not placed at the beginning of the argument? Where is it in the NCFIC confession? Has the entire decade long debate been over how much age-segregation is allowed? If so, how much does Mr. Brown think is allowable? Very little it seems. “However, this is not to be the normative pattern of biblical youth discipleship, but rather an exception.” A glimpse of how much is offered on page 225 where he contends that as “little as one hour a week” of age-segregation is “problematic” for those wishing biblical felicity. In other words, 1/168 of a week is still too radical to contemplate. That is .006% of a child’s week! What Mr. Brown gives in one hand is virtually taken away by the other. At the end of the day, the article offered by the NCFIC did not bring much clarification. I do not know where this leaves the movement. But I do hope that the questions and observations of my article will bring more light than heat. ← Does Love Compel America to Receive Syrian Refugees?